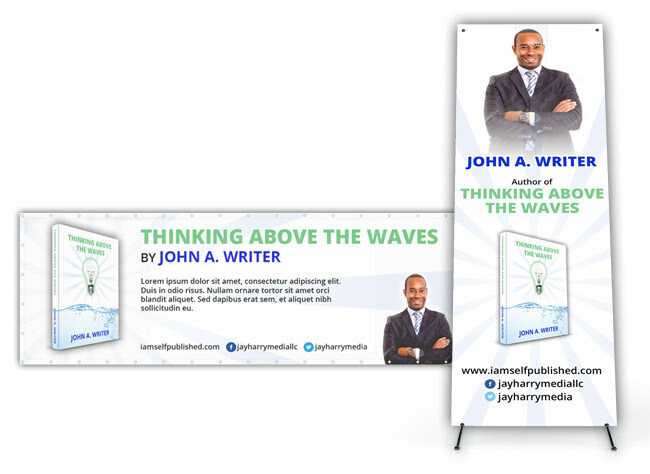 Custom vinyl banners are a great addition to any marketing material you have on display at a book fair, trade show or any event with a large audience. They can also can be seen from a distance or catch the attention of potentials buyers walking past your display table. Whether you’re setting up your display table or booth alone or with someone else, both banners and be set up and broken down with little effort and stowed taking up little space while transporting. Includes (1) horizontal banner and (1) vertical self standing banner. See Prices page and save with our packages.